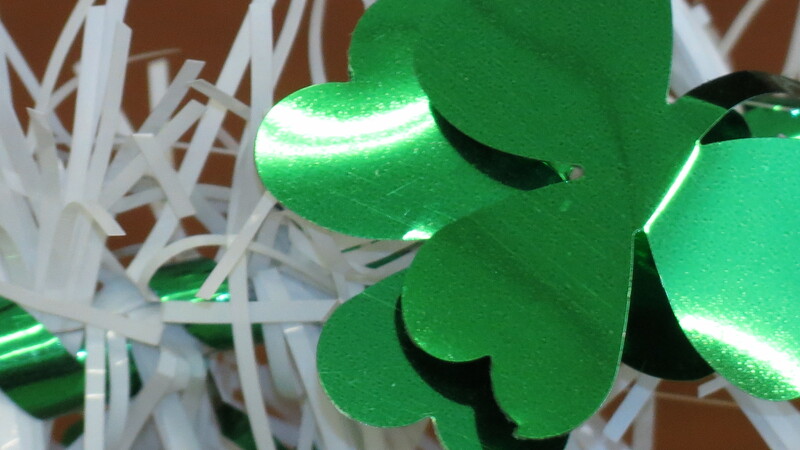 With St. Patrick’s Day around the corner and me tuning up my bagpipes, it suddenly occurred to me how appropriate it is that this most Irish of celebrations, where green is the color of the day, is held in March. This third month, after all, is the time when green returns to the landscape. Irish eyes may be smiling, but on a recent walk through the garden, as I brushed aside brown winter leaves, I found my gardener’s eyes smiling at the excitement and promise of once again seeing green. 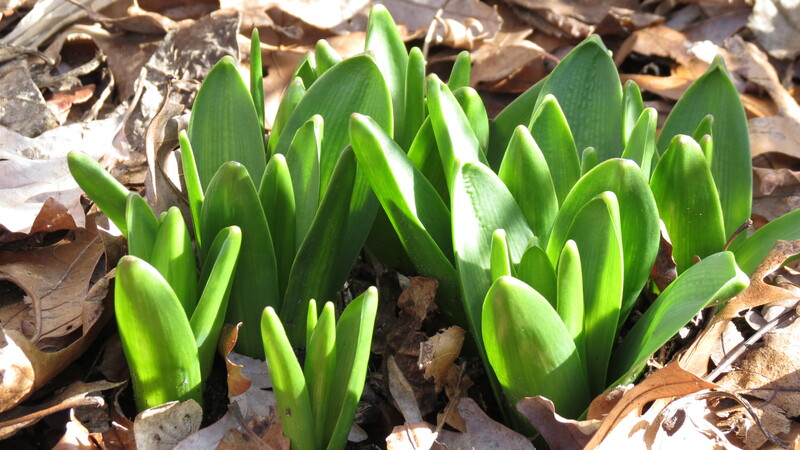 Hyacinth crowns pushing their way through the leaves. At this time of year, I’m thrilled to see all green, even if it comes from a weed. 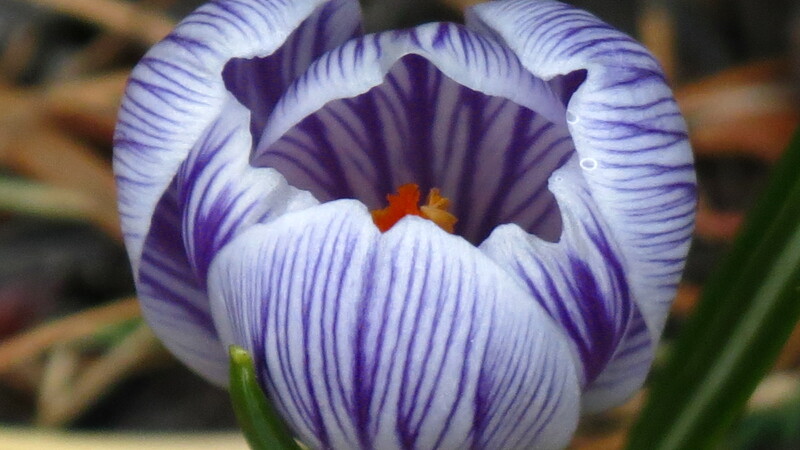 There’s nothing like seeing the first crocus. What some green and a splash of color can do for the soul! No need to beware of the “eyes” of March. 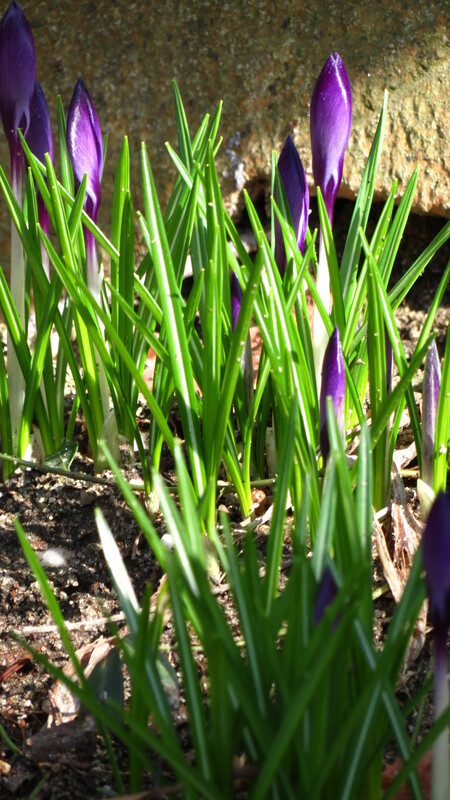 These crocus, planted in one of the warmest areas of the winter garden, are the first to bloom. 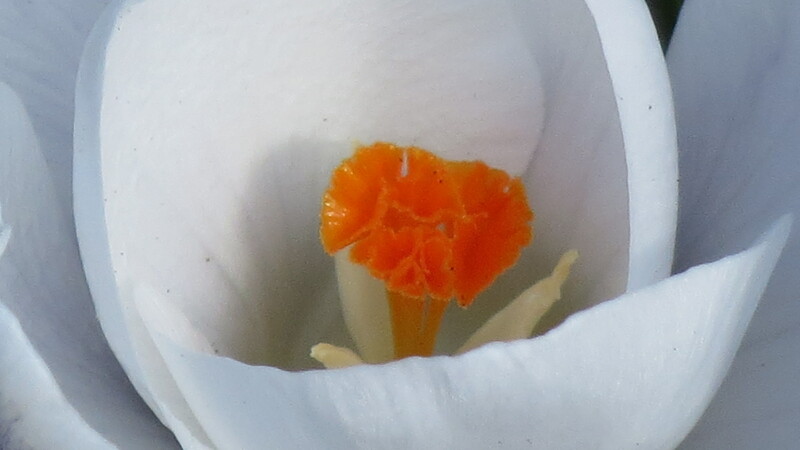 My all-time favorite crocus: Pickwick. from seed a year ago. I’m hoping for the first blooms. 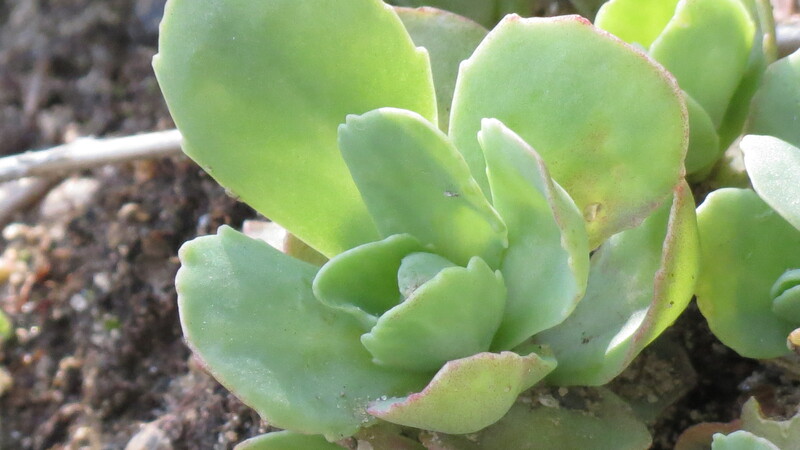 The fleshy leaves of “Autumn Joy” sedum. 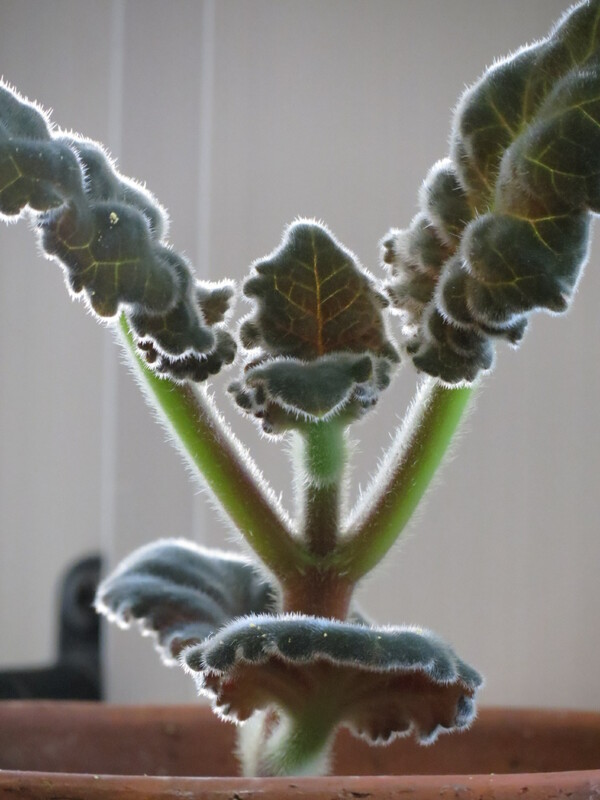 it comes from the furry leaves of Gloxinia, which is reappearing after its winter slumber. Recently, I posted about my playing bagpipes and marching my way through March. This Saturday is the biggest of the parades, the NYC St. Patrick’s Day Parade. As a result of that post, several people have either commented or asked me, “Hey, how about a photo of you in a kilt and with your bagpipes.” Well, I tend to keep those photos well-hidden, but here is a video of my band from a few years ago, marching in the NYC parade. You can find me front and center. I’m the one in the kilt. Happy St. Patrick’s Day! Nice legs! I have become a bit mad for columbine. Last year, I started my seeds in February using milk jugs as mini -greenhouses. I had very nice results and several sizable plants for spring planting time. By the way, I love the idea of using the milk jugs. Are you bringing your pipes in tomorrow? Your pictures are gorgeous! Hi Bernice! Thanks for stopping by. Glad you enjoyed the green. Enjoyed the bagpipes. I come from Scottish stock. Also, great photos! What camera do you use? Time to get serious and replace my snapshot camera. Hi Diantha. Thanks for stopping by. ‘Tis the season for pipes! I’m glad you liked the photos, but I have to give a lot of credit to the camera. It’s the Canon Powershot (PC 1680). It has lots of cool features and abilities. Happy shopping! Thrilled by the pipes. Thank you. Have a fabulous time in the green apple parade. They’re a beautiful noise. 🙂 Enjoy the day, Cheryl. Love the pipes! Thank you for sharing and enjoy your parade! 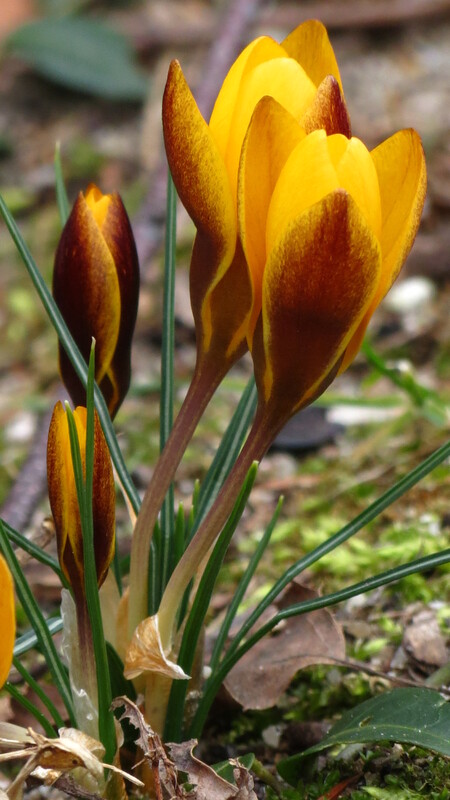 The crocus (what is plural–crocuses?) are really lovely. 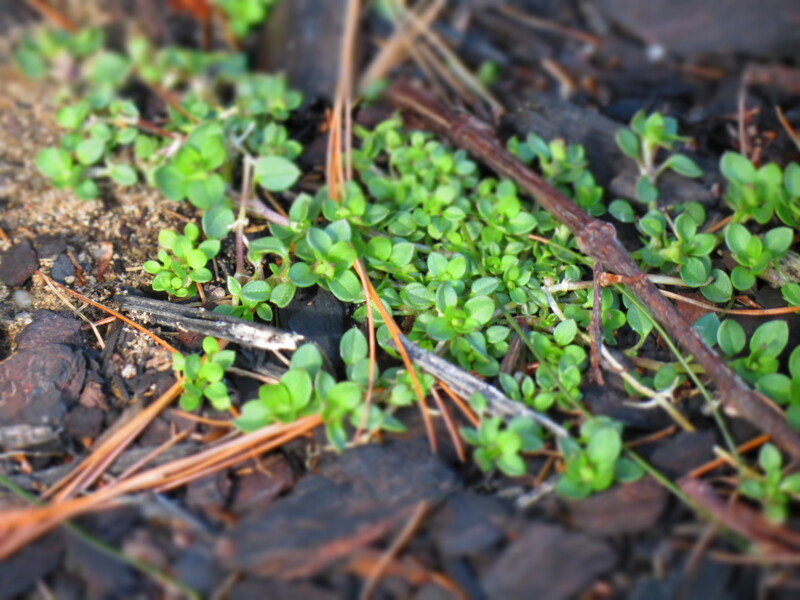 I’m surprised to see sedum, though. Do they freeze, die-back and then come back? I can’t quite picture how they fit into your landscape. 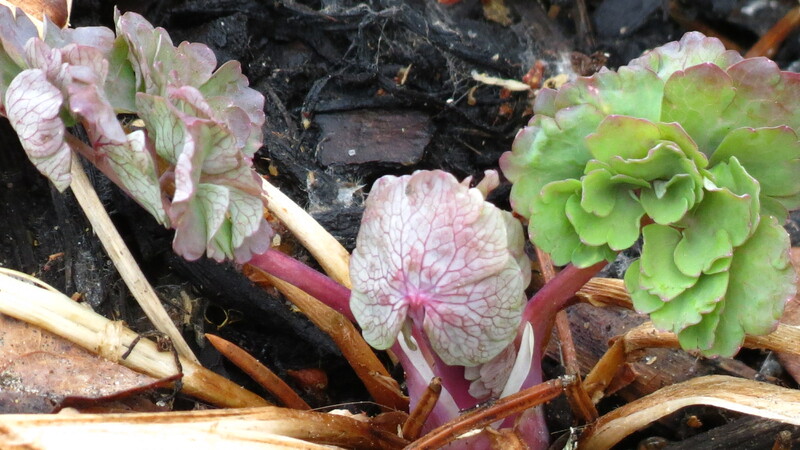 And here I cover them along with succulents, blanketing them from frost! You’ve surprised me! Hi Debra. I have a few areas planted with Autumn Joy. They die back, send up growth in spring, flower in late summer, and the dried flower heads provide some late autumn/winter interest. The plant in the photo is actually close to the foundation, facing south. The warmth might help, but I have others (not close to the house) that also do well, although they are still covered by leaves. Enjoy the parades in your area! Hope you have a wonderful St. Patrick’s Day. Here in Ireland it’s to be a cold, showery day. Maybe I will watch the Dublin parade on the TV. And you as we’ll, Bridget. The weather for today’s NYC parade was cold, damp, and snowy. Tomorrow is supposed to be cold and sunny. Where is spring? Had to laugh at the green weeds poking through. Just like a weed to be the first bit of green you see in the spring.